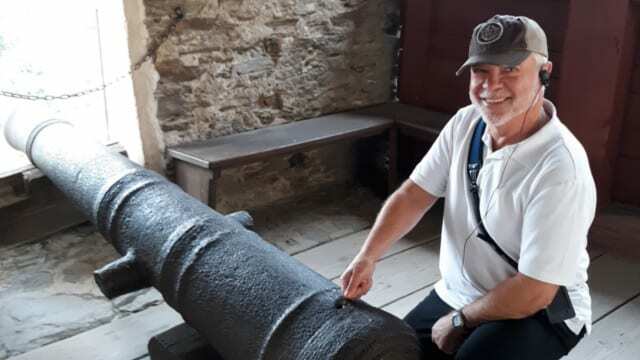 What constitutes the science of “ballistics?” DrRon and Forensic Death Investigations Team member Nationally renowned ballistic scientist and firearms expert Lance Martini discuss the Ten Top TV Fallacies of Firearms and Ballistics as the cruise down the Rhine River in Europe. What is recoil? Can guns really shoot under water? Can cops really shoot cars to stop them? Do people really get knocked backwards when shot with the Dirty Harry .44 Magnum? What really happens when bullets penetrate glass and more. Join the team as they discuss the realities of ballistics in tonight’s interesting episode.